The majority of video UIs are defined by the quality of the image. 4K images present a significant bump in resolution over "HD" (1080p). Late 2014, Gracenote was still collecting and normalizing this expanded catalogue of new images and, in parallel, beginning to implement quality improvement efforts (based on customer feedback) to the existing library. Gracenote needed to a way to demonstrate both to maximum impact. The most effective way to demonstrate the quality of a 4K image is to show those images on a monitor capable of 3840 x 2160 resolution. CES 2015 represented a sort of "coming out party" for a larger Gracenote (via acquisitions made in 2014). 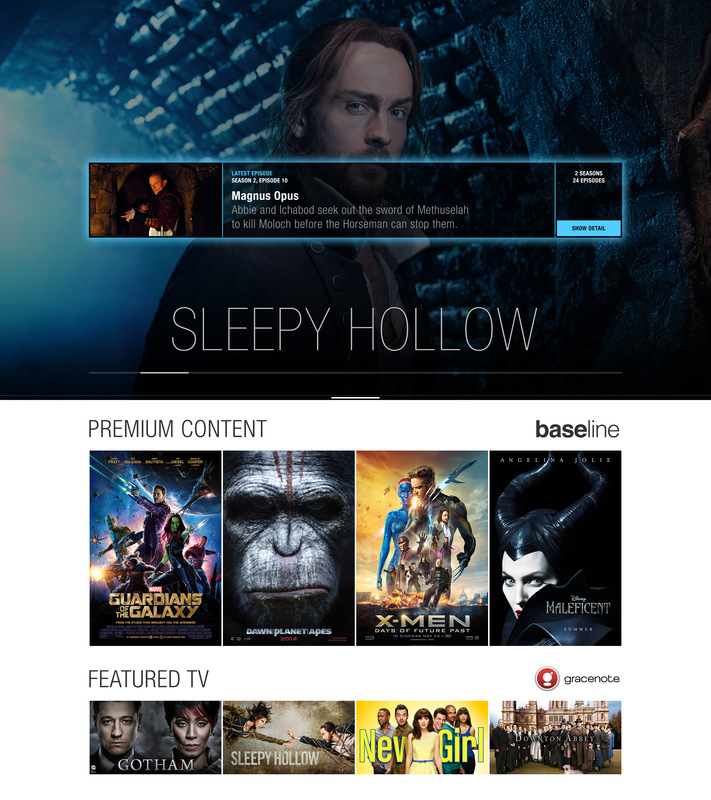 One of the acquisitions was of Baseline, an entertainment database particularly deep on film meta data. 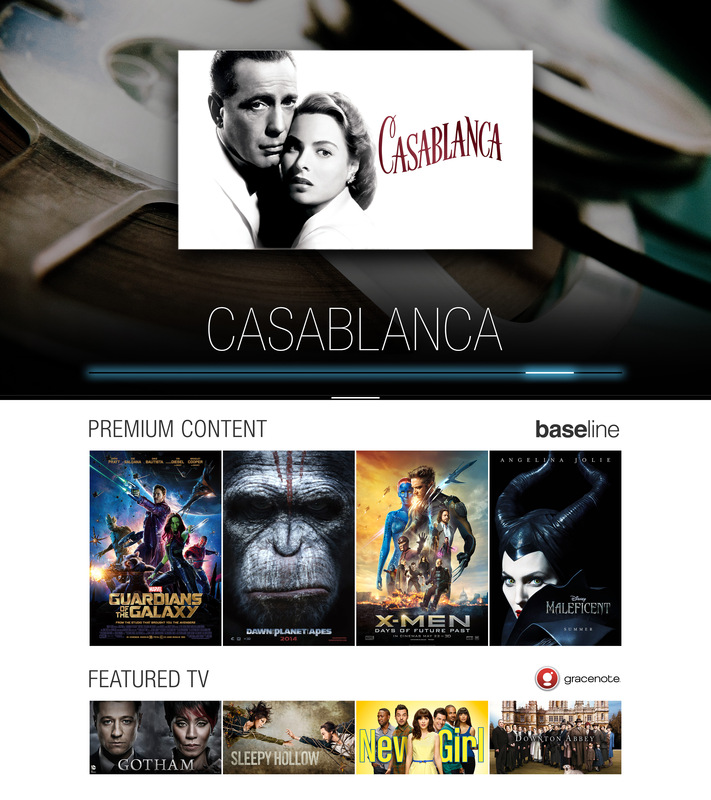 Baseline's database has a large media library ranging from on-set photos from "The Guardians of the Galaxy" to international movie posters for "Casablanca". The Image Showcase is a consistent presentation of curated content from both Gracenote's and Baseline's catalogues.